Hotel Ramenas, Amsterdam discount hotels and accommodation. The hotel is centrally located. 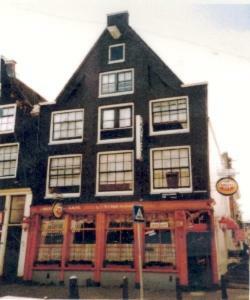 You can reach the hotel from the airport by taking the train to the central station of Amsterdam. Hotel Ramenas is a low budget hotel but offers visitors good comfort. All the major attractions and nightlife areas are only few steps away. The hotel welcomes backpackers as well as families. The hotel has 11 rooms with a total capacity of 40 persons. The rooms are divided from one to six persons rooms. Dormitory beds are also available. There are no extra charges for sheets and towels. View photos, room descriptions and make online reservations at Hotel Ramenas. Save on room prices at Hotel Ramenas, Amsterdam.